Divi Neguma is a program to uplift the living conditions and nutrition levels of people. People should contribute to achieve the targets of the program, Economic Development Minister Basil Rajapaksa said addressing a workshop on Mass Media and Development at the BMICH. The event was organised by the Department of Government Information. The Minister said that the success of a national program depends mainly on the active participation of people. There is however a limit to what the government could do. The responsibility lies with the media to convey the message, he said. The Minister said that the government will provide technical and other assistance to the families who wish to launch agricultural, fishing and industrial projects. 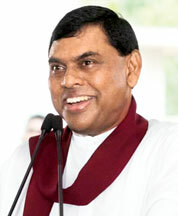 He said that the nutritional levels of the Sri Lankan families should be improved as an urgent task. President Mahinda Rajapaksa in his 2011 budget speech said that Sri Lankans should be prepared to face an international food crisis which is likely to occur in the near future. 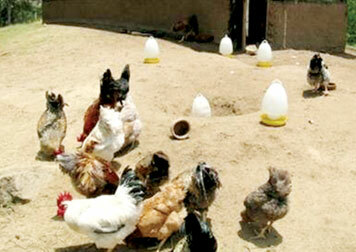 Poultry farming, livestock, vegetable and fruit cultivation could supplement the food requirements of the people. 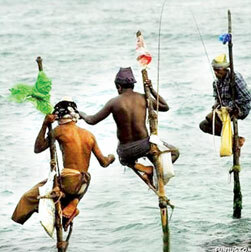 The 2011 Budget has underscored the need to setup one million domestic economic units. Divi Neguma is not a project only to promote home gardening. It is the first phase of the project. The program envisages one hundred families in each Grama Niladhari Division to start agriculture projects. The Government on its part will provide technical and physical assistance including seeds, fertilizer. The families who opt to grow vegetables are given a training by the agriculture development officers, from ground-preparation to harvesting. It will fulfill the consumer demand for vegetables and promote the nutritional requirements of the people, he said. The minister said that although Sri Lanka's per capita income had increased during the past few years the nutritional level has not improved according to surveys. People give priority to textile, building items such as floor tiles and ceremics as against food items. During the last Christmas season, it was reported that the people spent their bonuses on floor tiles and bathroom fittings. There should be a program to provide nutritional food at reasonable prices. Milk, eggs, vegetables and fruits which forms supplement nutritious meal could be produced in home gardens, he said. He said that 250 varieties of vegetable plants can be grown in a two-perch land and added that a large area is not needed. Tomatoes, chilies, beans, ladies-fingers and green leaves are available in rural fertile lands. The country could save more than Rs. 15 billion annually if the home gardening program is successful. Grama Niladaris, Samurdhi Niladaries, Agriculture Development Officers and Midwives in every GN division have been assigned the task of monitoring the progress of home gardens and other projects. The technical and physical assistance worth Rs. 10,000 will be provided to each project by the government, the minister said. The minister said that the national Home Gardening Program is the first of a series of national programs aimed at uplifting nutritional levels, income generation and saving billions worth foreign exchange resources. President Rajapaksa had identified the one million Domestic Economic Unit program as a giant step towards achieving self-sufficiency in food, the minister said. Referring to the other Divi Neguma national program the minister said that the country has a shortage of milch cows, though milk production has increased during the past two years. The Pakistan government had agreed to supply milch cows so that a family could fulfil its own milk requirement as in the past, the minister said. Seventeen ministries jointly work to ensure the success of the Divi Neguma project which comprises agriculture, livestock, fisheries, cottage and small industries and entrepreneur development, the minister said. Agriculture Development Minister Mahinda Yapa Abeywardena said that the aim of this program is to create a healthy nation. "The nutrition levels of rural women and children are not satisfactory, the minister said. The children who are born today will be the future of the owners of this country. If they are not healthy and strong what will be the tragedy the country will have to face, the minister said. Mass Media and Information Ministry Secretary W.B. Ganegala said that the Divi Neguma project is a timely project to improve nutritional levels of people.